During the April 29 - May 1, 2019 Louisiana NENA Chapter Symposium, elections will be held for the Board of Officers positions of Vice President and Secretary/Treasurer. Pursuant to Section 3 of the bylaws, all Board of Officer positions shall be elected by a simple majority of the Membership Quorum present at the chapter meeting, which will be held on Tuesday, April 30th. Election shall be by ballot and ballots will be distributed to NENA members who attend the Louisiana Chapter of NENA meeting. The nominating committee will propose one or more candidates for election, taking into consideration professional reputation, character, and other qualifications that are deemed appropriate by the nominating committee. The nominating committee members are Chad Breaux, Kory Latiolais, and Jude Moreau. Nominations will be read during the chapter meeting on April 30th prior to voting, and nominations will also be opened for any additional nominations from the floor prior to voting. 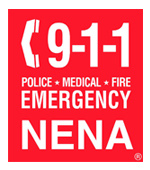 Any NENA member in good standing may serve as a chapter officer. Officers may derive no more than 15% of their income from commercial activity connected in any way to the 9-1-1 industry.